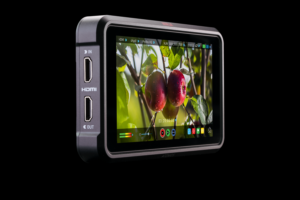 Another great product that landed at NAB came from Atomos, which is adding an entry level 4K external monitor-recorder to their Ninja lineup. 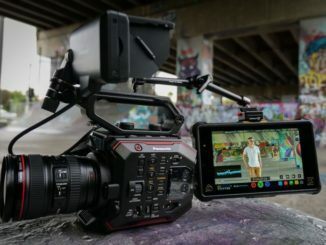 The 5″ Ninja V will record 4K directly from your camera’s HDMI port, and blast all the image data without any compression that a camera has to do in order to keep up. This makes the Ninja V a great leg up for beginners or next level filmmakers looking to take their projects to the next level. 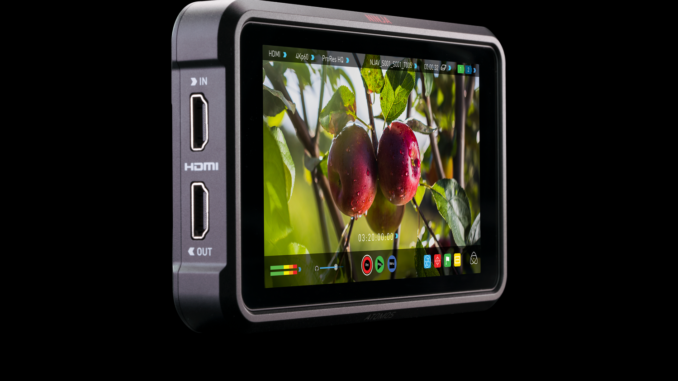 Atomos’ Ninja V sports a 5.2″ touchscreen display that enjoys a 1000 nits of brightness. That makes it pretty well suited for shooting out in the field, but slight less bright than the Ninja Inferno. Ninja V records through the HDMI input to ProRes HQ, DNxHR HQX, Various LOG formats, and will eventually support ProRes RAW, as the codec Atomos co-developed with Apple becomes more popular in camera updates. 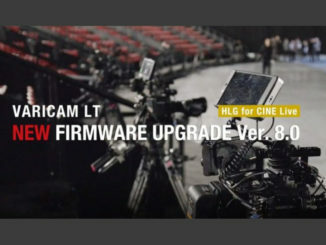 Images are recorded in 10 bit HDR 4K60p with over 10 stops of dynamic range to Atomos’ new AtomX SSDMini flash drive, which is 20% shorter than a standard SSD. The image data is sent directly from the sensor, to the recorder, bypassing the compression and recording time limits of the camera. 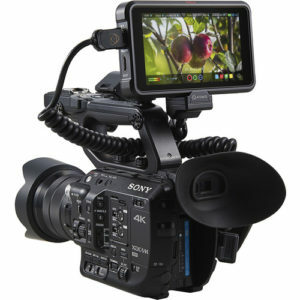 This feature makes it ideal for shooting longer form interviews, documentaries, and even game play videos that could last for several hours. And at 11 oz, the Ninja V doesn’t add a lot of weight, so even vloggers on YouTube can get in on the action. Recording is automatically triggered, timecode matched, and HDR Metadata transferred in real time. Additionally, the mini SSDs connect via SATA III, and Atomos says that they are backwards compatible with other applications. Meanwhile, audio can be input directly from the camera digitally via HDMI, or fed in analogue via a stereo 3.5mm line/mic socket – especially useful for cameras that do not have a mic input. The Ninja V has the usual lineup of supporting features including histogram, false colour, peaking, movable 1-1 and 2-1 pixel magnification, waveform, RGB parade, Vector scope, and 8ch audio level meters. Plus the Ninja V has anamorphic desqueeze at 2x, 1.5x, 1.33 and Panasonic’s 8:3, and HDR signal management to convert to existing equipment. The Ninja V is powered through a modular port that accepts Sony L series batteries, or via DC Power input. 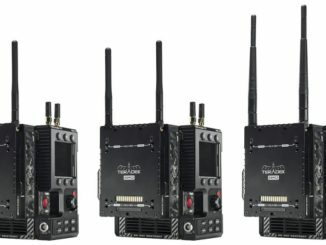 The modular port is also expandable, with Atomos planning expansion modules that offer advanced features such as continuous power and other applications. Cost for the Ninja V is expected to be around $695, with shipping by mid summer. Preorders are available now. For more information, visit Atomos.com.